“Sceptical” about the low number of motorists caught drink-driving during the festive period, insurers want the law changed so that breathalyser tests can be done at random. Only three people were caught driving while under the influence of alcohol on New Year’s Eve and none on Christmas Eve, according to the police. Malta Insurance Association director-general Adrian Galea, who has for years advocated the use of breathalysers to curb drink-driving, welcomed the decision to subject motorists to tests on both nights but pointed out that insurers were “rather sceptical that such a low number of people were tested and found to be over the limit”. “With nearly 1,000 cars having been stopped over both days and just three found to be over the limit, this works out at 0.3 per cent, which is way below the European average,” he remarked, adding he honestly hoped this was a direct result of the initiatives taken to combat drink-driving. Mr Galea noted that this year’s numbers were below those for the same two days a year earlier, when 1,832 vehicles had been checked and 11 drivers were found to be over the drinking limit. He pointed out that alcohol limits had been lowered in 2017, which meant more drivers would have been expected to exceed the alcohol consumption threshold set by law. According to the revised rules, motorists are considered to be under the influence of alcohol if they are found to have 22 microgrammes of alcohol in 100 millilitres of breath. Thus, a man of average build is limited to just under a pint of beer or a large glass of wine, while women would not be able to consume more than half a pint of beer or a small glass of wine. The law also states that the police can only carry out a breathalyser test if they have “reasonable suspicion” that the driver has been drinking but does not define the term. Police sources said in the past that this usually involves looking out for slurred speech, bloodshot eyes and motorists being unsteady on their feet. Mr Galea expressed the wish that the inspections held on the nights of December 24 and December 31 would not be restricted only to the festive season, a call he has made to the authorities on several occasions in the past. 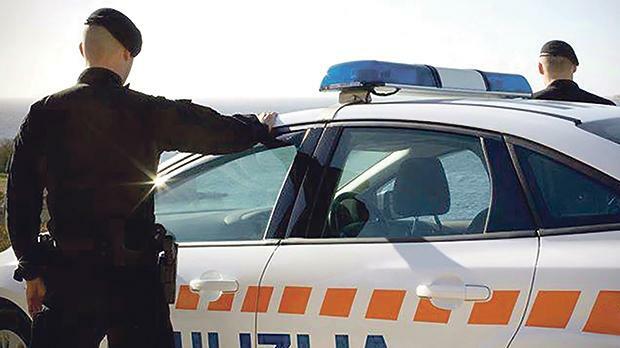 “The Malta Insurance Association recommends tweaking legislation to empower the policing authorities to carry out random breathalyser tests, regularly and frequently. “Our roads need a strong deterrent in the form of police presence and the Maltese authorities should emulate practices adopted by other European countries to fight this growing menace on our roads. In addition, the police need to be equipped with more kits and equipment, supplementing those donated by the Malta insurance Association three years ago and be provided with continuous training to better perform enforcement against drink- and drug-driving,” Mr Galea said. Insurers reiterated calls for breathalyser tests to be carried out when drivers are injured in road accidents, a move they argue would benefit both the industry and those involved.